There aren’t many places in Omaha where you can see an outdoor concert, grab drinks and dinner with friends, take in a movie, and then walk home. We’ve been proud to call Aksarben Village home since 2009. We like it so much, we are inviting more of you to join us. Alchemy Development has recently purchased two lots adjacent to the new HDR headquarters building in what is informally known as Zone 6. 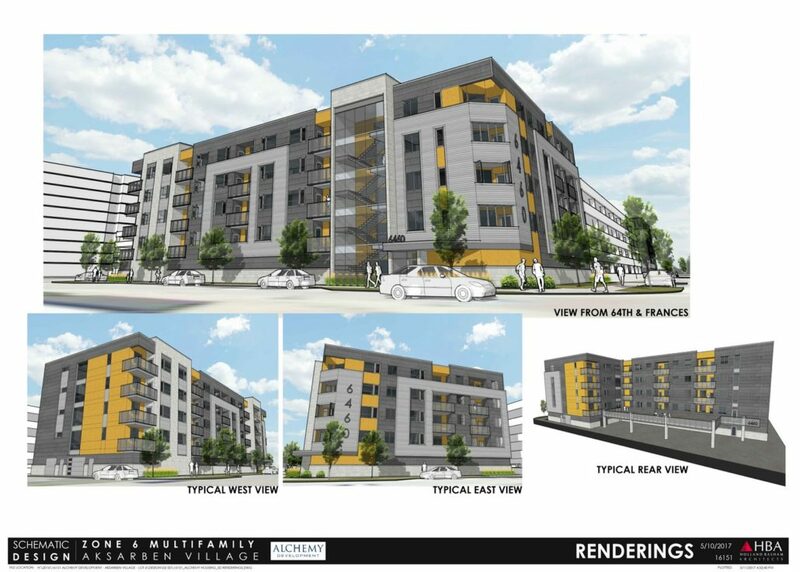 The plan calls for 108 apartments in two separate buildings. Each one is five stories tall, serviced by elevators and indoor garage parking. A redevelopment agreement was signed with the City of Omaha this past summer, and construction is slated for 2018. The buildings will open in the first part of 2020 when HDR welcomes it’s 1,200 employees to its new tower. Accredited investors seeking information on the new Zone 6 apartment project may contact us now. http://www.alchemydevelopment.com/wp-content/uploads/2017/07/AlchemyLogo-1030x233.jpg 0 0 admin http://www.alchemydevelopment.com/wp-content/uploads/2017/07/AlchemyLogo-1030x233.jpg admin2017-10-06 19:13:562017-10-06 19:13:56Is Aksarben Village a good place to live? 108 more reasons to say yes. Construction is Completed at Shadow Lake Square Does Omaha need any more apartments?